Check back soon for new deals! 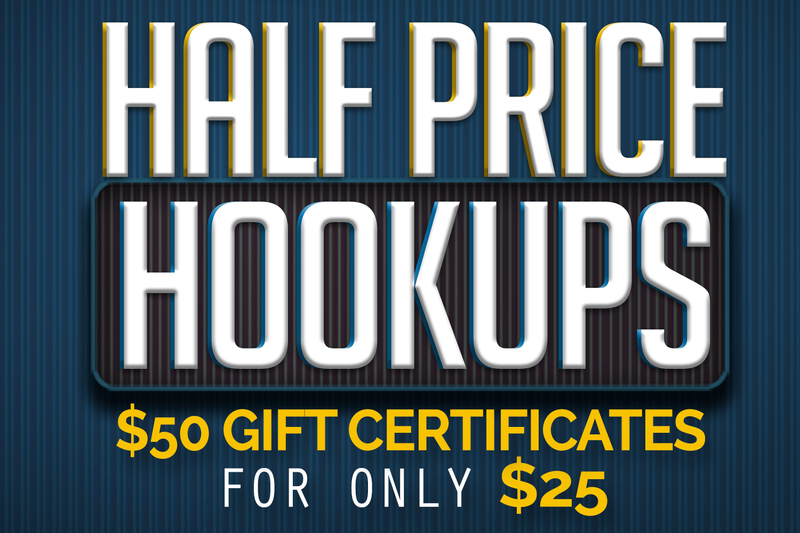 Note: Manhattan Broadcasting Company issues a $2.00 processing fee for each Half Price Hookup purchase. Manhattan Broadcasting Company is NOT responsible for any third party fees issued by some financial institutions. In rare cases, some users have reported a $10.00 “Cash Advance” fee relating to their Paypal transaction from their financial institution. Please contact the financial institution responsible for issuing your card if you are concerned that this fee may apply to you.